Taking the time to keep your eyebrows in check is the perfect way to frame your face, and can do more for you than a lot of other beauty treatments. Stay tuned as we’re spilling the beans on our Top London Eyebrow Treatments. 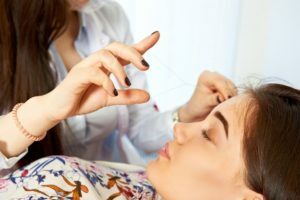 Eyebrow threading is a definite London favourite! It has seen the nation steer away from D.I.Y botched plucking jobs, and unleashed a new level of slay in the brow game. The process involves using cotton thread to create a lasso that loops around individual hair follicles, removing them quickly and precisely. Its popularity comes from the way the technique can capture even the shortest of hairs. With results lasting up to 4 weeks; the result is clean, precise, and natural looking brows. Eyebrow waxing is another hair removal, and shaping technique that gives off a sharp, and defined finish. It is a great option for those with coarse eyebrows, as it allows great coverage over unwanted hair. Once the wax is applied, a strip is placed over the top of it, and quickly snatched off to get rid of any stray hairs; revealing those killer shaped brows you’ve been hiding. Pain is beauty where this technique is concerned, but fear not, results of up to 6 weeks make it all the more worth it. If you are prone to sensitive skin issues, remember to discuss this with your brow technician before any treatment, as they will be able to advice you on the best option to take. 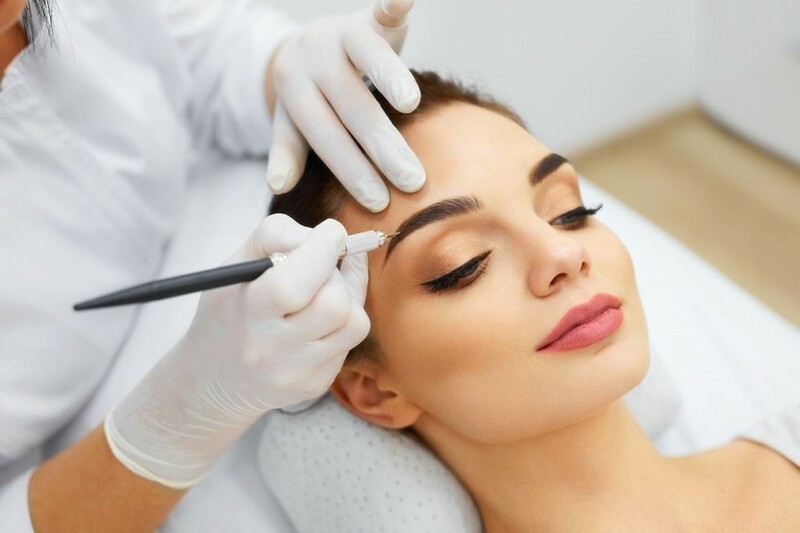 Whether you opt for threading or waxing, including professional eyebrow tinting as part of your treatment will add some boldness and shaping; great if you’re looking to free up some much-needed time spent struggling with your brow pencil. Cosmetic eyebrow tattooing is a state of the art procedure, that inserts natural pigments into the superficial layers of the skin. This treatment creates long lasting brows that are perfect all year round. There is no exaggeration when it comes to long lasting results; with two complete treatments, results can last for up to 2-6 years! Fancy taking your brows to the next level with one of these treatments? Book Your Lifestyle has them all available and more. Book your next brow appointment online now with just a simple click of a button.